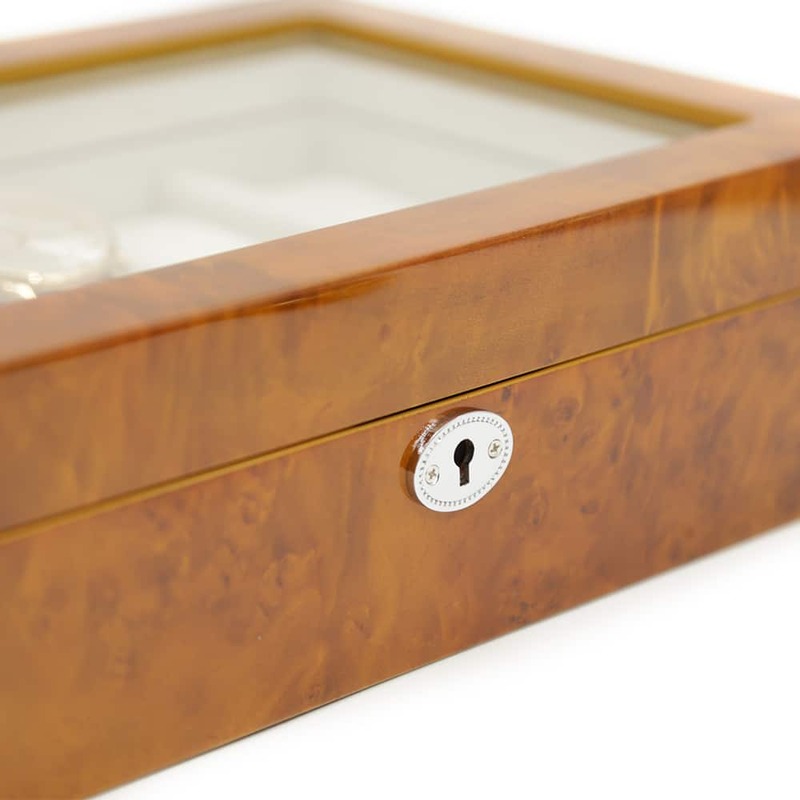 Show off your collection to your friends and family with this beautiful Amber 10 Slot Watch Box. 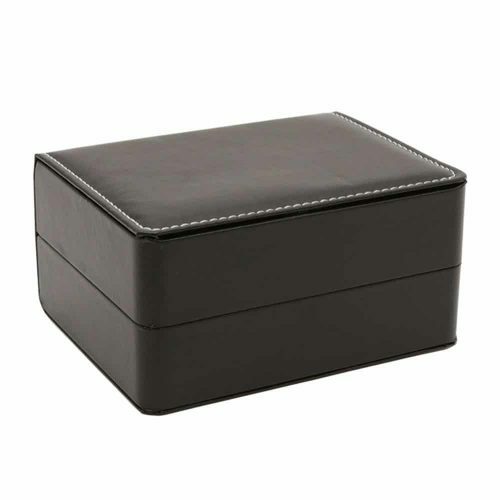 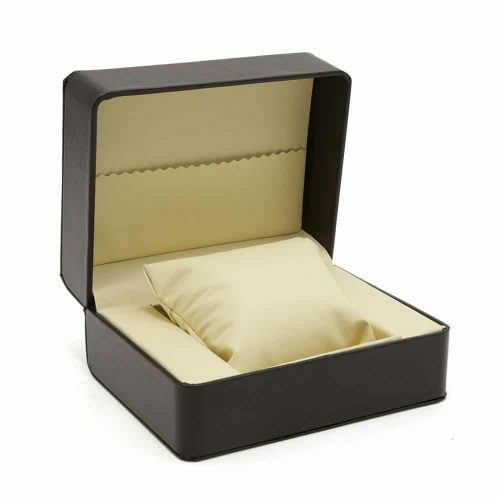 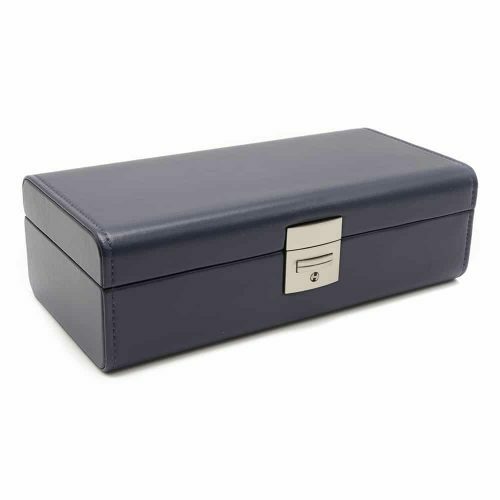 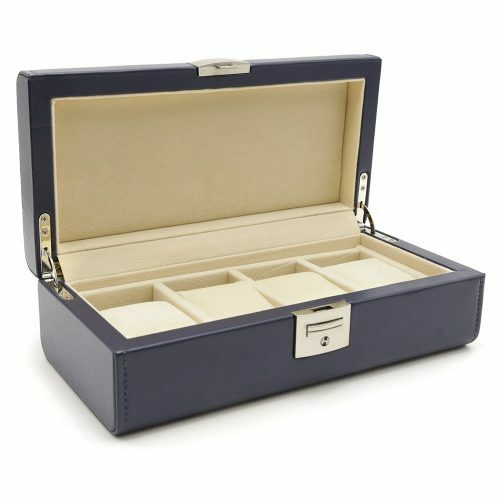 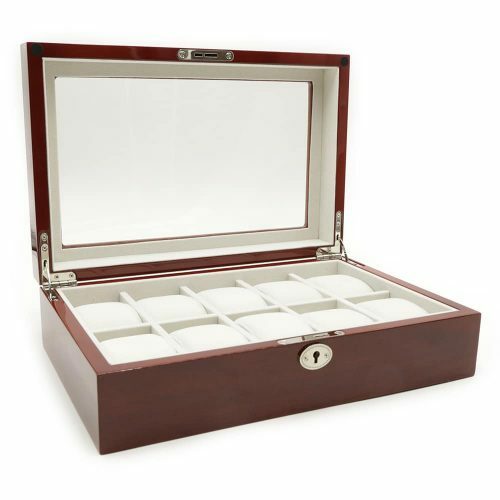 This wooden watch box has silver features and a high-quality cream velvet interior to cushion your valuables. It comes with larger slots allowing you to store watches with standard sizes or watches with larger faces. 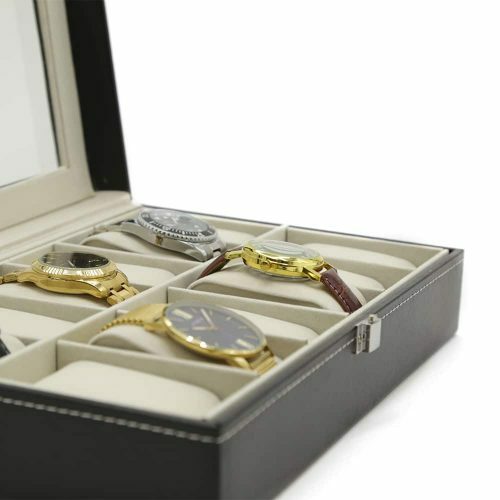 All your watches are visible through the large see-through panel making it a great decorative piece. 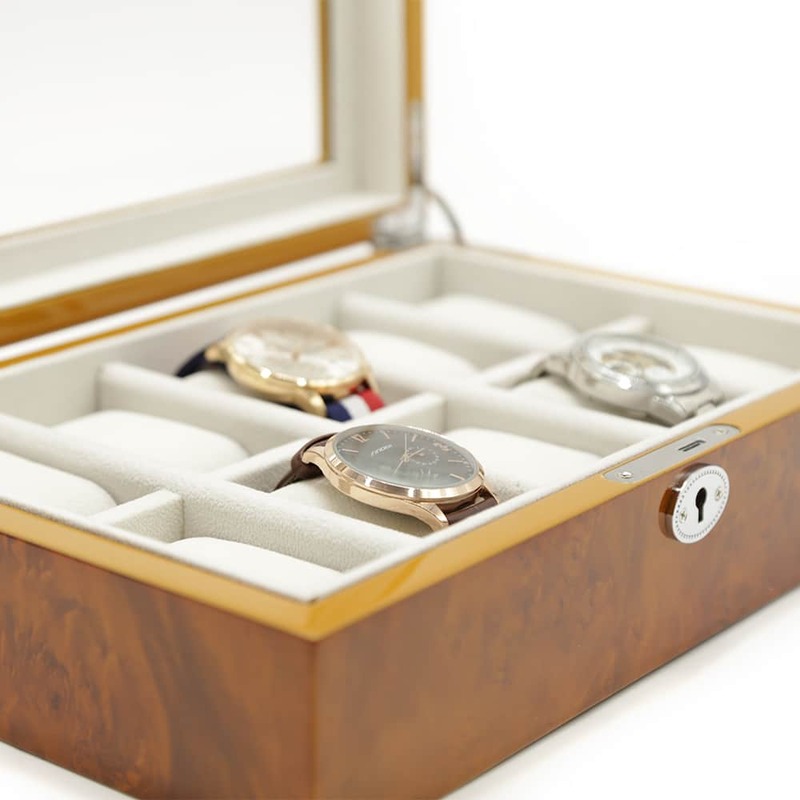 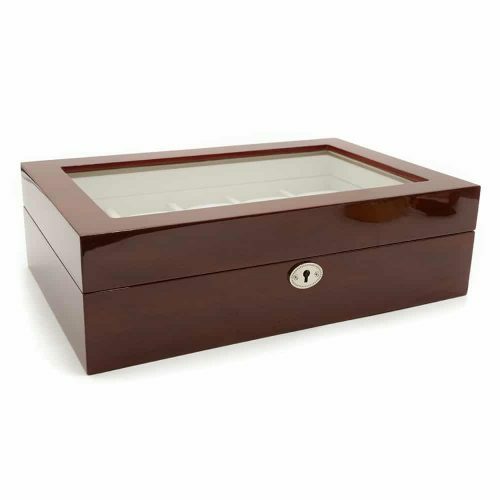 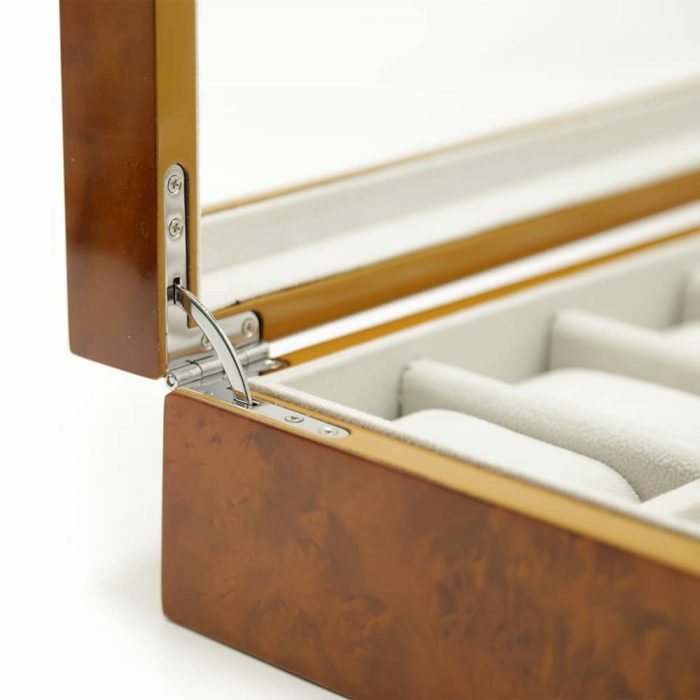 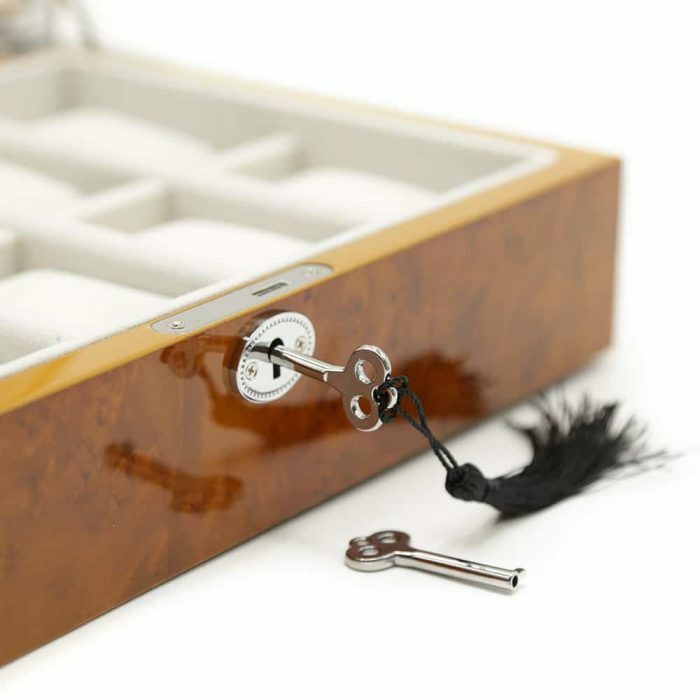 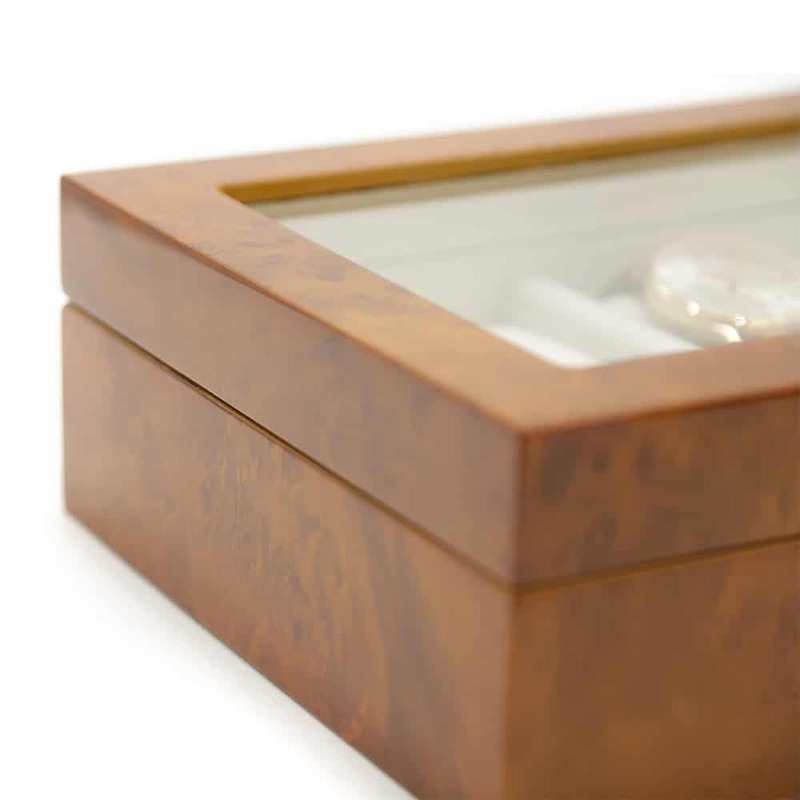 To ensure your watches are safe from any damage, dirt, or dust, you can secure the box with the included lock and key.